None of our 2019 recruits swam this, but great swim from Claire! Good swim for Isabel, second only behind Comerford. Miranda Heckman also gets into the final with a new PB. 2 second drop from Jordan Morgan, who swims for Santa Clara Swim Club (someone on our team has probably come from there, anyone know who? ), 2021 or 2022 prospect. Dang, Ivey really stepping up her back game, and I really cannot tell what her second best stroke is after freestyle. 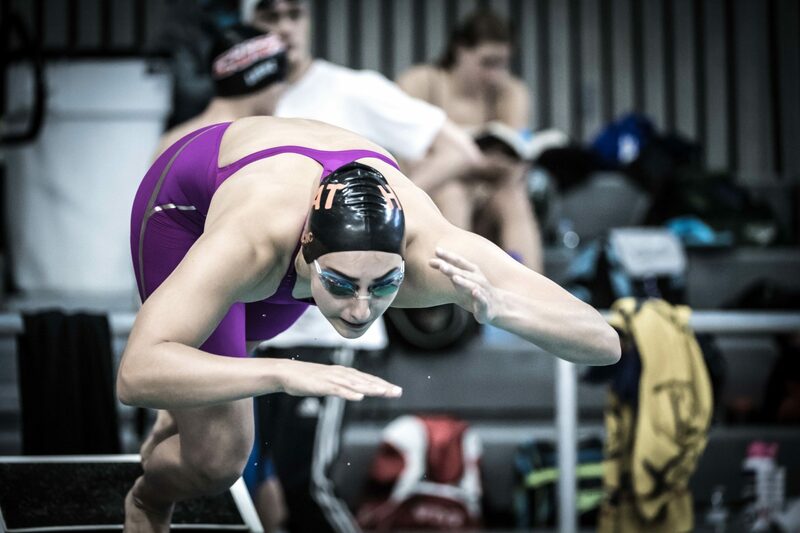 So very versatile, and split faster than Olympian Olivia Smoliga on the second 50 (27.00 vs. 27.24)! Nice 0.1 drop from Phoebe as well. Not sure why CS has her ranked under Virginia, but I'm pretty sure she lives in MD and trains with Bruce Gemmell at the MD NCAP sites. Also, she attends Ledecky's alma matter, Stone Ridge, which is in Maryland. Phoebe lives in Herndon, VA, right by Dulles Airport. Healthy daily commute to Bethesda. Gemmell coached Ledecky and his son swam at Georgia. I'd give the edge to LSJU or Georgia over Cal for Phoebe. Dang, Ivey really stepping up her back game, and I really cannot tell what her second best stroke is after freestyle. So very versatile, and split faster than Olympian Olivia Smoliga on the second 50 (27.00 vs. 27.24)! Solid swim by Claire, who is only 13! She has a bright future. 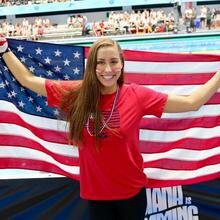 Great swim by Ivey, only a tenth off her best. 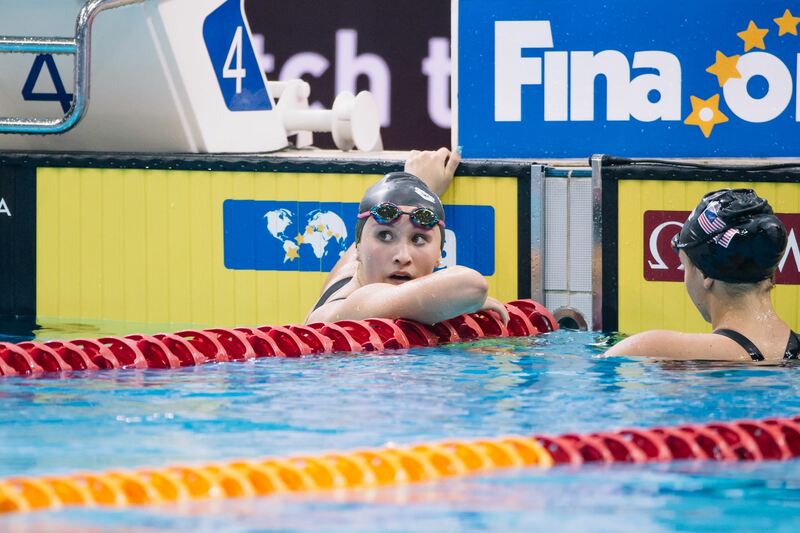 Drop for Keating, and Morgan was only 0.2 off her morning swims, so great swims for both. Another PB for Bacon, and Ivey just off her morning swim, but a terrific swim nonetheless! Pretty good split from Kulp, which may have been around a 22.7 with a faster RT! *Note: rankings are from collegeswimming.com as of December 2, 2017. Phoebe was 5 seconds off her PB, as was Paige. A second drop for Madelyn, though. Izzie putting herself in a good position for tonight's finals. I think that many of the swimmers are tired tonight, which may be the reason for the times that aren't as fast as previous days. Not that many teen stars, but solid performance from 2020 recruits Goettler and Keating. Ivey not up to her 2016 standard, but its her last event and she's probably very tired. Solid performance. Excellent drop for Kulp, and solid swims for everyone. Others in the 2020 class aren't as strong as the three aforementioned, but overall, in the future, these should be names that we can all also keep an eye on as we roll into the next several recruiting cycles. Lillie & Ashlyn have both received mentions on this board (if perhaps only briefly), and I've heard of Lindsay, but the other names are def. new to me...appreciate the heads up! Anyway several of the promising recruits discussed on these pages will be competing at 2017 Speedo Winter Junior Championships starting Wed, so no time to relax before the next wave of SCY swimming commences (not that we're complaining too vocally mind you hehe). In fact a slew of 2018 recruits will be participating as well, including Baby Bear Elise Garcia. 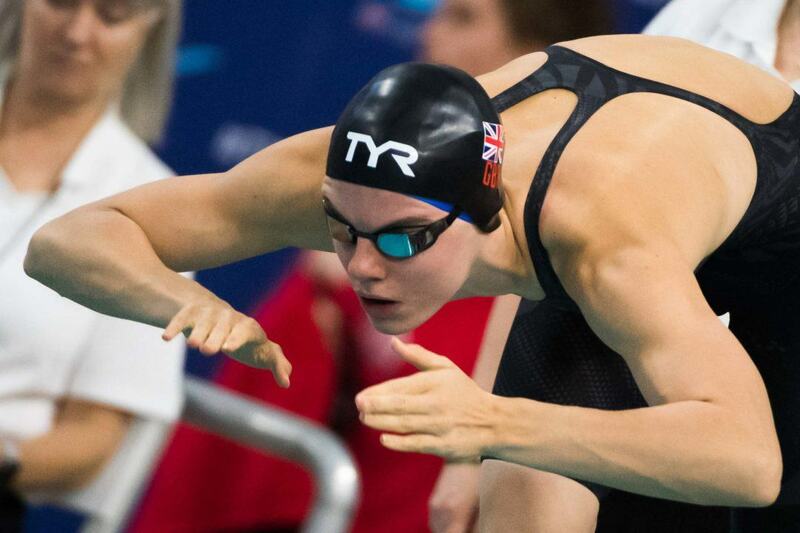 Some notable splits on first night of relays at the Winter Junior Championships. Not sure if Gretchen's truly astonishing 21.01 anchor split on that 200 Medley relay is 100% accurate if you look at the recorded time for her clubmate's fly leg (a relatively pedestrian 25.75), but the only faster split in this event at last year's NCAAs (from a flying start) was Farida's 20.91 anchor leg! Extremely swift regardless of age or level!! 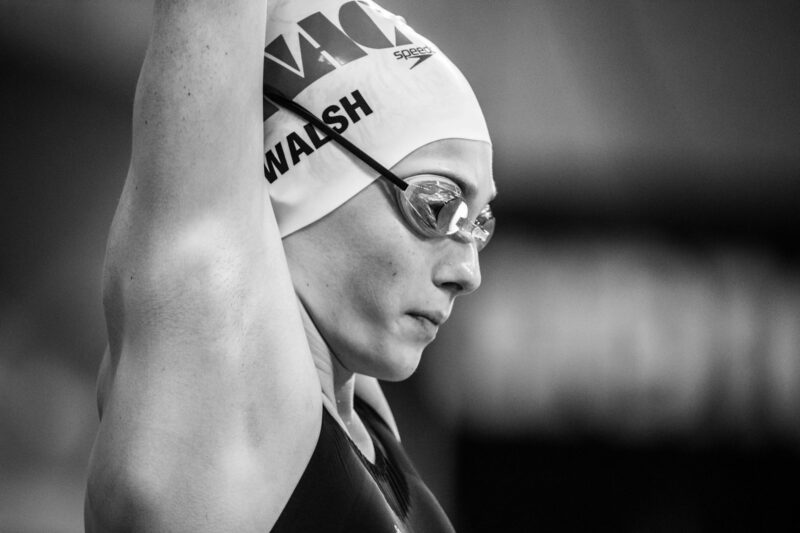 The younger Walsh sibling also contributed a decent 1:46.17 leg on her 800 Free relay. Alex had a great back leadoff on this relay (24.17 - compare that to Amy's 24.14 from the UGA Fall Invite). Then went on to anchor NAC's winning longer relay in 1:44.15...faster than Abbey & Robin's splits over the weekend, not far off Amy's 1:43.97...also handily beats 2018 sapling Morgan's 1:45.90 effort here. Kate D had the quickest fly split in the A final, a 23.69. Caitlin Brooks led off with a nice 24.87 on back, with her Gator Swim Club teammate Talia Bates contributing a swift 23.75 on fly. Lillie Nordmann (1:45.19) did really well over at the West meet. 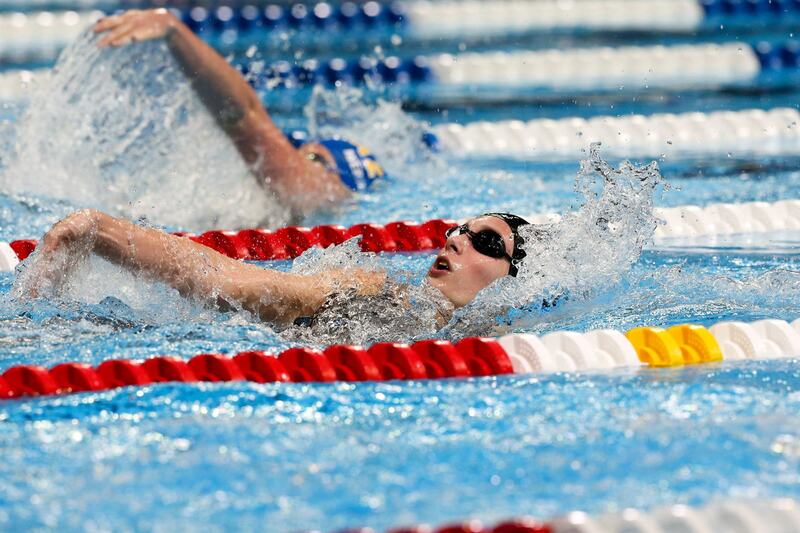 Zoie Hartman fared better in her 200 Free split (1:46.12) than her 50 Breast split (29.92). Hello. I skipped to the back of this thread rather than read it. Do the Bears have any verbals yet for the class of 2018 or 2019? Thanks in advance for your reply. GO BEARS! None for 2019, but we have 5 for 2018: Cassidy Bayer, Elise Garcia, Alex Sumner, Alicia Wilson, and Ema Rajic. I actually remembered see their names to I checked the official website. Thank you. Incidentally, Alex's tough winning double* tonight, a 58.19 PB in the 100 Breast followed swiftly by a 51.45 PB in the 100 Back, would have been good for #3 & #12 respectively @ 2017 NCAAs! However, it seems as though Ivey is really good friends with Cassidy, which always ups our chances. Took a good look at Isabel Ivey's insta, and she's following both our men and women's account (a good sign) and the Gators (no dip; she swims for their club team IMO); also following Missy and some of the NJT men who are freshmen at Cal this year. As of right now, we have no indication that she's leaning toward Stanford, and UF is our only real competition as she is based out of the Gator Swim Club in Gainesville. 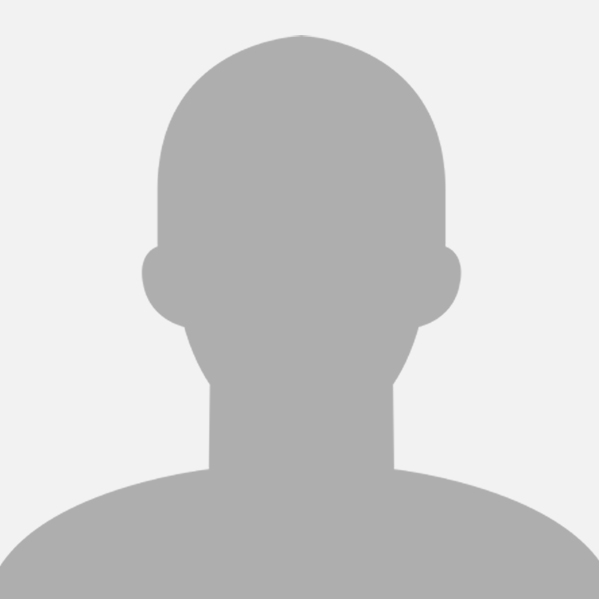 HOW DOES SOCIAL MEDIA AFFECT COLLEGE RECRUITING? Has anyone been aware that 2020 recruit Ella Ristic switched from MVN to Nova this past season? According to results at Juniors West, it now shows that she's representing Nova now. I don't believe that it should affect our recruiting, though, because current sophomore Courtney was also based out of that club. Wow, Alex busted out yet another PB of 1:51.42 in winning the 200 Back (old PR = 1:52.07, from the 2015 edition of this meet). 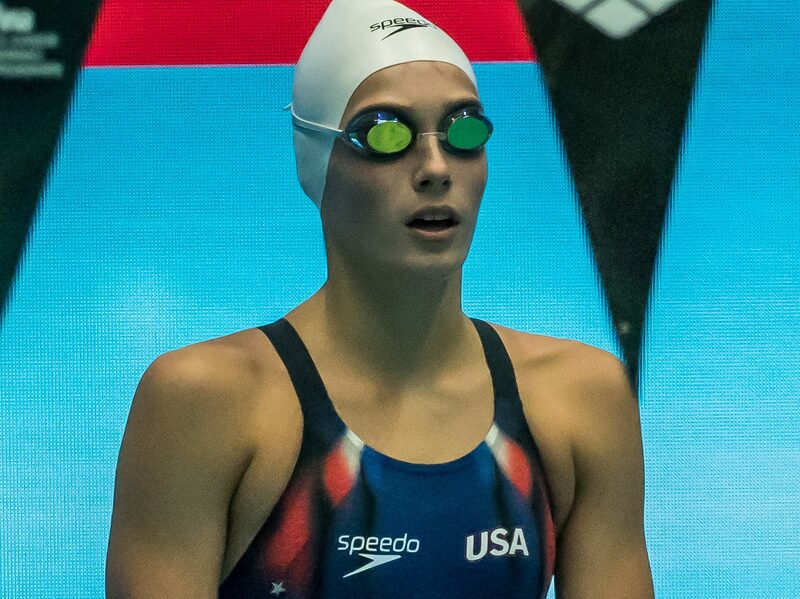 Regan has been a bit faster in this, her speciality, event - 1:51.30, from the USA College Challenge back in Oct.
Their times are 2018 NCAA 'A' cuts, would have placed 2nd in the B final @ 2017 NCAAs, ahead of Claire Adams' 1:51.50. "All 3 of the top 3 finishers went best times, with Zoie Hartman having a huge breakthrough swim. Hartman's best time in this event heading into the meet was 2:11.83, and she just demolished the 2:10 barrier, skipping over 2:09 entirely (2:08.60)." 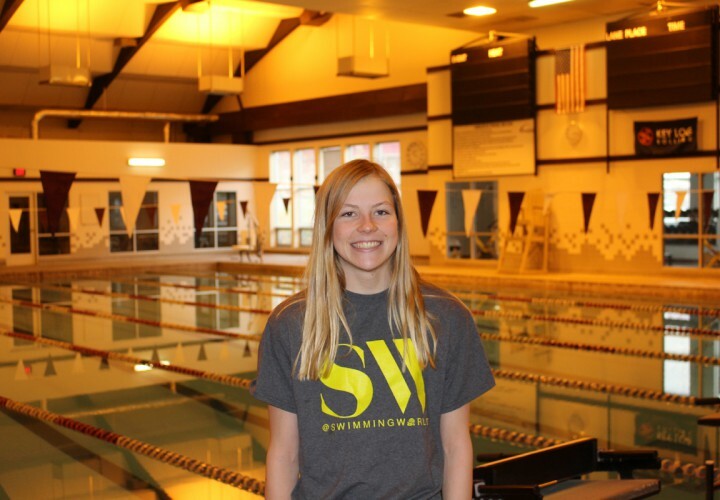 "The 16-year old Walsh of the Nashville Aquatic Club, along with her younger sister Gretchen, was the biggest story of the meet. 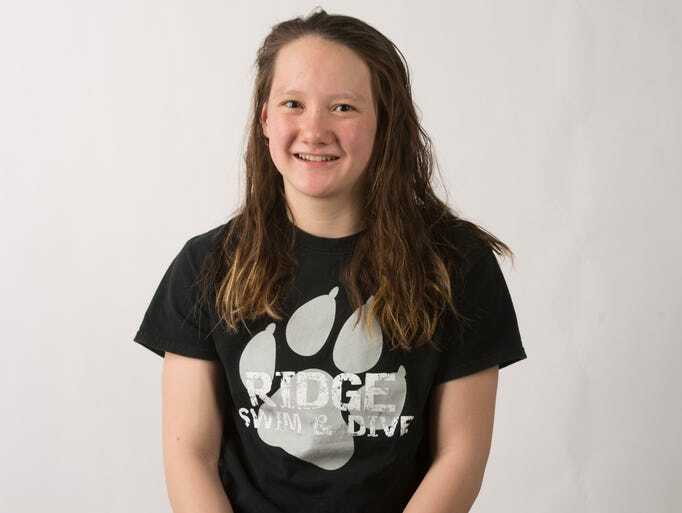 Alex Walsh won 4 of her 6 individual events in the meet to rack up 112 points more than any other swimmer of either gender at the meet." 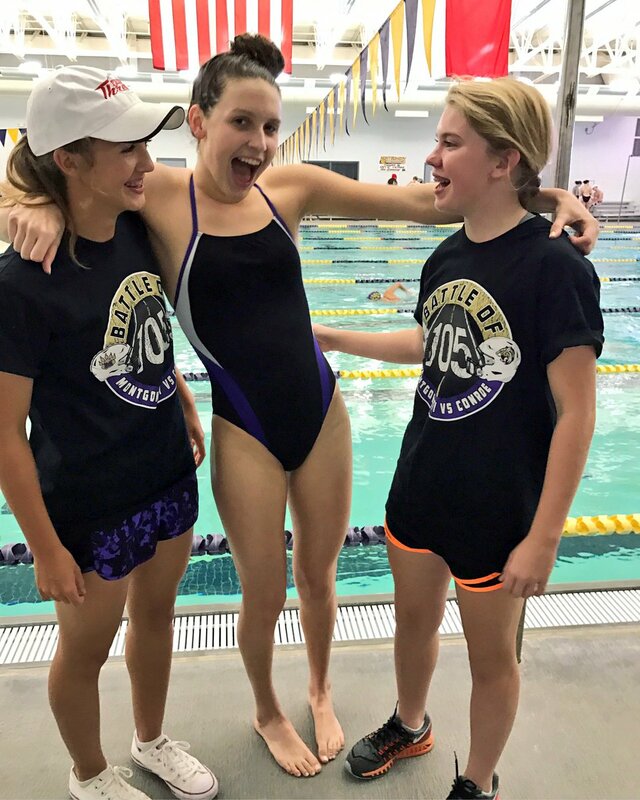 "Amongst an impressive field, 14-year-old Grace Sheble put up a historic performance in the girls' 400IM on Friday at the 2017 NCAP Invitational. She split 57.09/1:04.68/1:09.91/57.32 for a final time of 4:09.00. She now is the second fastest 13-14 swimmer ever in the event, with Katie Hoff being the only girl to ever go under 4:09. Meghan Lynch took second in a still-quick 4:16.24, followed by Caroline Sheble in 4:24.75." 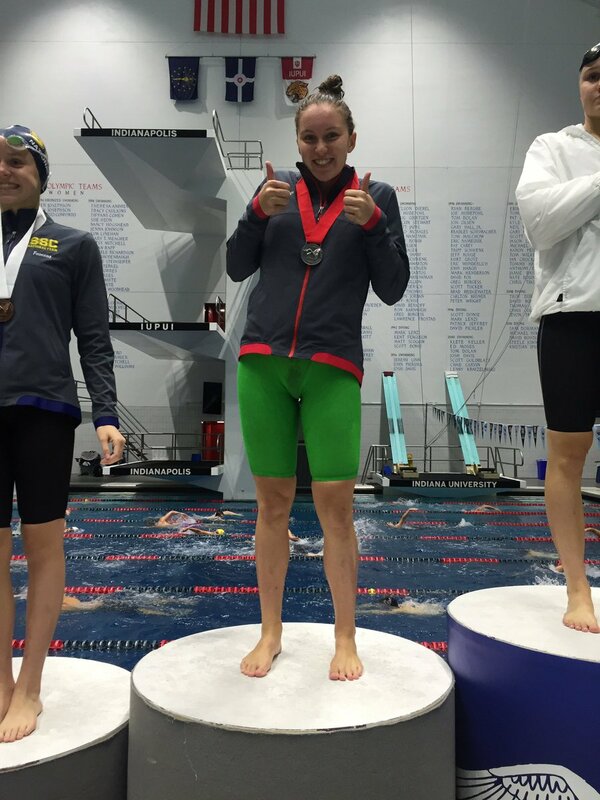 "Phoebe Bacon, 15, won the open girls' 100 fly in 53.26, followed by 18-year-old Cassidy Bayer in 53.55. Also under 54 was 15-year-old Abby Harter in 53.75. Reece Whitley topped the boys' race in 48.26, followed by Steven Thalblum in 48.53, and Philip Manoff in 48.73." 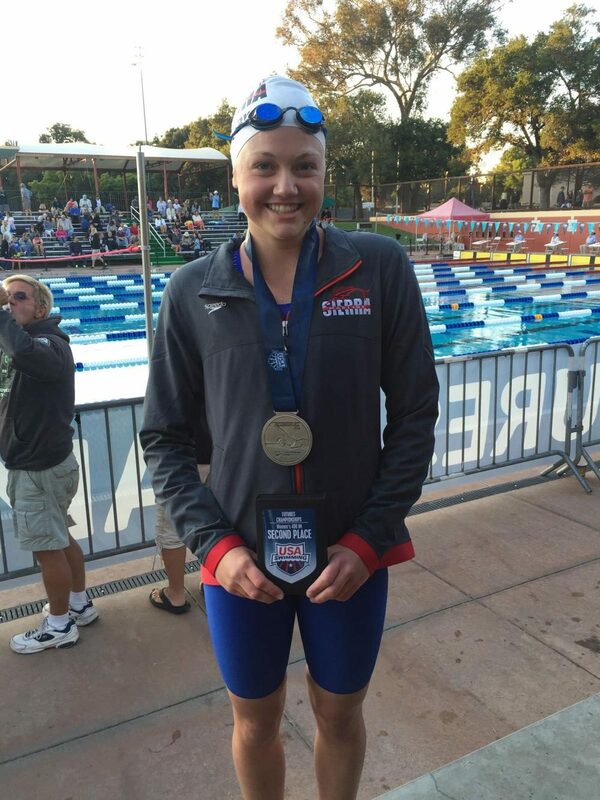 "NCAP swimmer, U.S. National Teamer, and Cal commit Cassidy Bayer picked up her first win of the 2017 NCAP Invitational with a 1:56.08. That's her best time in over 18 months. 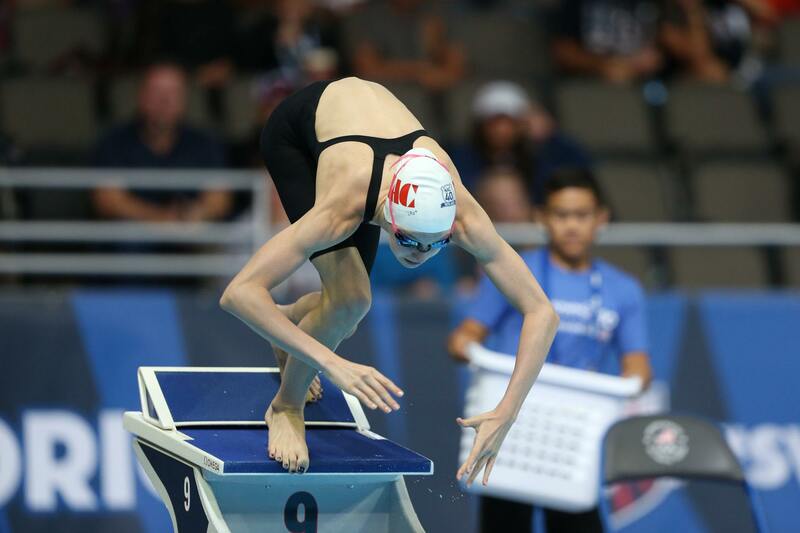 Bayer opened in a 54.43, and then split 1:01.65 on the back-half: a bit of a fade by her standards, implying that this probably isn't a taper meet for her." "Durocher's first win of the day came in the 200 fly, where he put in a 1:46.18 for his first victory of the meet. Not far behind him was Whitley in 1:46.42 his best time in the event by more than two seconds. Whitley has been known as a breaststroker for most of his career, but this season he's shown monstrous improvements in the IM and especially butterfly events. In the last 3 months alone, he's gone best times in the 200 IM (1:43.55), 400 IM (3:44.71), 100 fly (48.23), 200 fly, 200 free (1:38.20), and has generally multiplied his value for Cal next season. 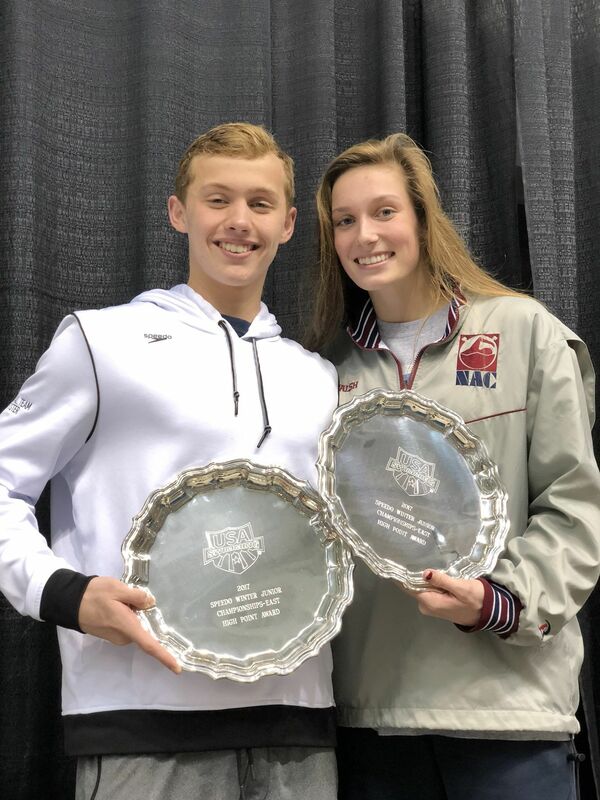 All of that comes while not losing a step in his breaststroke: he swam best times of 51.81 and 1:51.43 in the 100 and 200 yard breaststrokes at last weekend's US Winter Nationals as well." Durocher is a UGA commit for 2018. 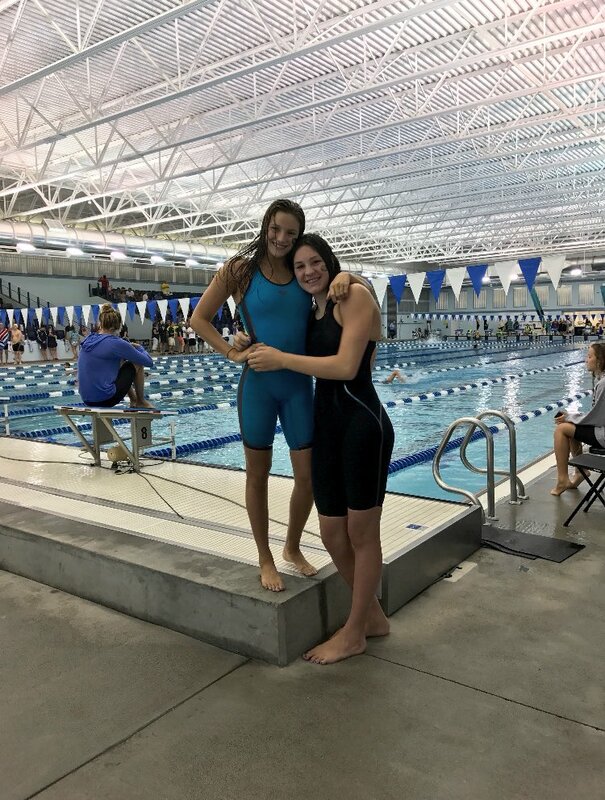 NCAP junior stars Phoebe Bacon and Cassidy Bayer each picked up a win on the final night of competition at the 2017 NCAP Invitational. Bacon took on the 200 back. Teammate Bayer took her title in the 200 IM. Bayer popped off a 2:00.20 to win by nearly 2 seconds. - Florida (4), California (5), Virginia (3), Texas (3) have the most depth, with California having their #5 swimmer still being top 25 nationally. 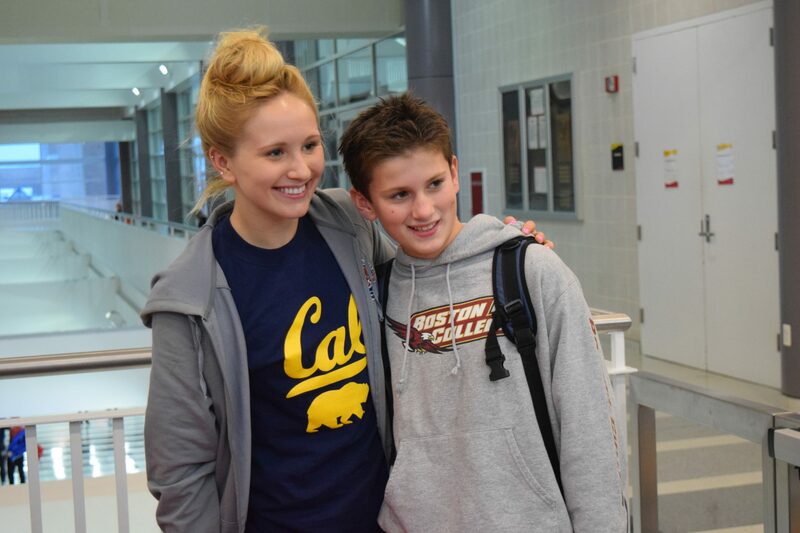 TYR Pro Series Stop 1 @ Austin is approaching (Jan. 11-14), and two of our baby bears are swimming! (I'll talk about 2019 recruits on the 2019 recruiting topic): Ema Rajic and Alicia Wilson! Berkeley pros, Murphy, Prenot, Pebley, Shields, Vollmer, and Adrian, as well as Zheng Quah (any reason why?) are on the psych sheet as well. Lots of college teams as well (A&M, NC State, Texas, Louisville), pros (Georgia, Texas, Arizona) and international swimmers (Canada, China, Great Britain) will be there as well. Looking to be a stacked event and we'll see how the Swim Squads work. Cal Pros would be correct! support the brand!!! Solid performances, though I reckon that they're both tired and are using this meet to see where they are in training. Cassidy Bayer, a senior from West Potomac, won the 200 freestyle in 1:46.92. 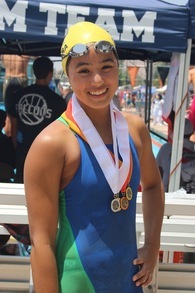 The Cal commit was also third in the 100 butterfly with a 53.07. Yorktown freshman Huske won the 100 butterfly in 52.64. Centreville's Lexi Cuomo placed second in 53.05. In the 200 freestyle Bayer was followed by Battlefield's Emily Hetzer (1:47.08). Note: That 1:46.92 in the 200 Free was a personal best for our baby Bear! 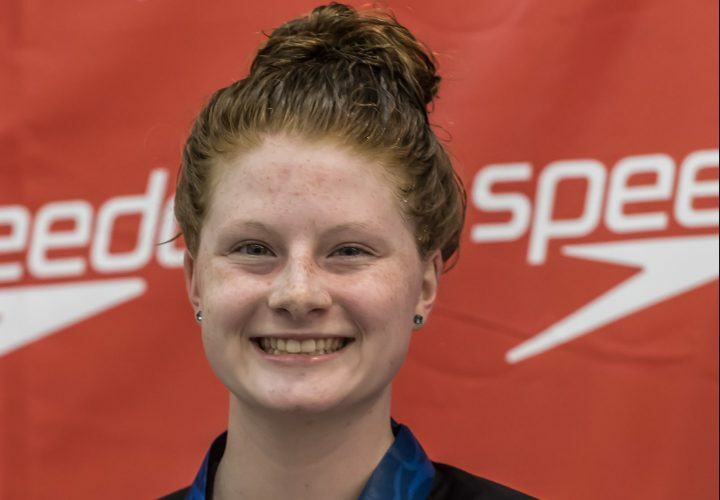 Cass' prev PB was a 1:47.63 from the 2017 NCAP Invite last Dec.
Bayer's 53.07 represents her 4th best 100 Fly lifetime. PR remains 52.78 from the 2015 edition of the NCAP Invite. 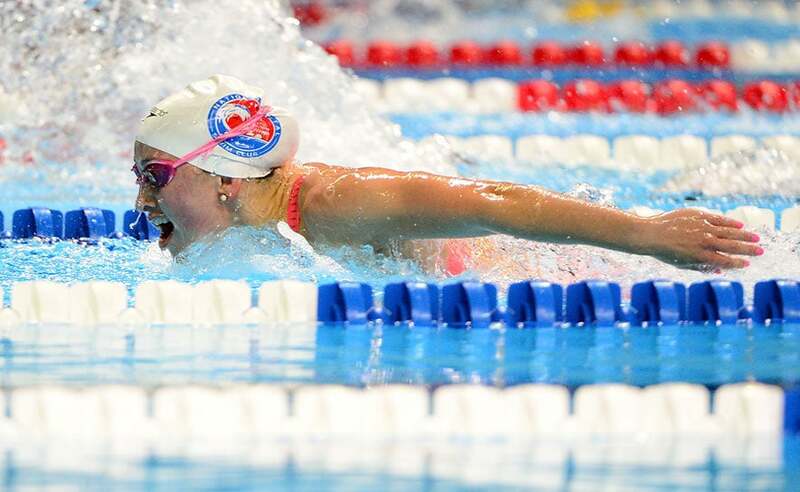 Cassidy had also contributed the fastest split (23.25) of her squad on the 200 Free relay.